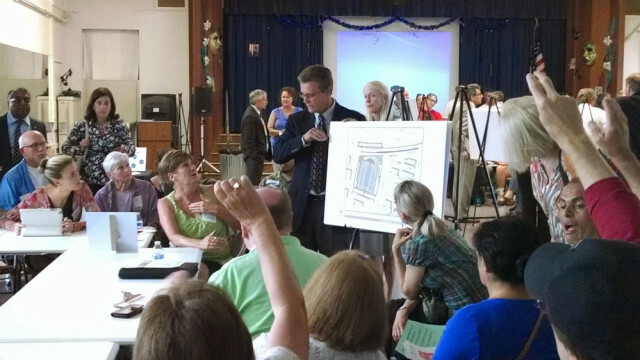 The second in a series of public meetings on the design of stations for the extension of the trolley system’s Blue Line drew well over a hundred people, many worried about potential high-density development. The meeting Tuesday at Cadman Elementary School focused on the stations planned for Balboa Avenue, Clairemont Drive and Tecolote Road. In April, residents of Bay Park expressed concerns about proposed high-density development around those stations. Construction is set to take place from 2016 to 2018 with the new line in operation by early 2019. 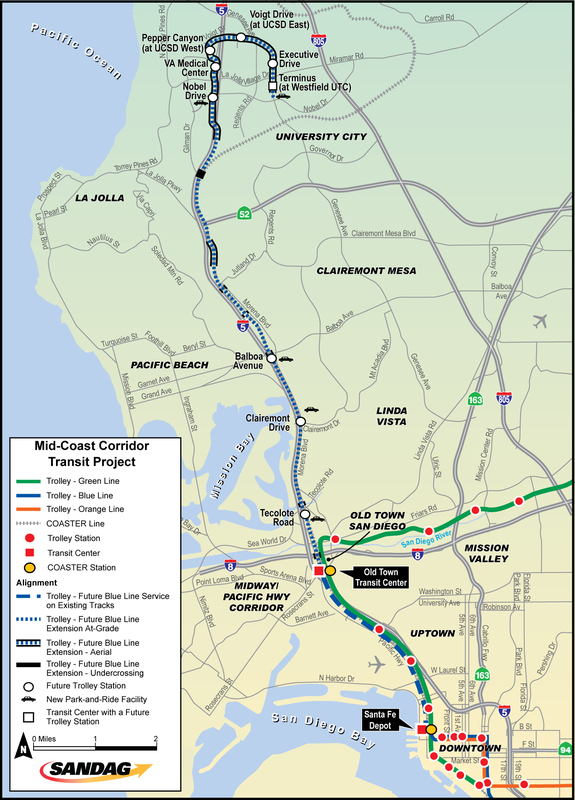 SANDAG, the regional planning agency for the region, is administering the project. A number of residents asked why so many stations were needed in their neighborhood, and expressed concerns about increased traffic and congestion. “Why do we need so many trolley stops?” asked one man. The station planned for Tecolote Road drew less criticism than the other two, with more discussion about architecture and and the number of bicycle racks. Jeff Barfield, chairman of the Clariremont Community Planning Group, said he didn’t think residents opposed the trolley, but instead were concerned about the development that may happen as a result. “There’s skepticism and fear of what it might lead to,” he said.